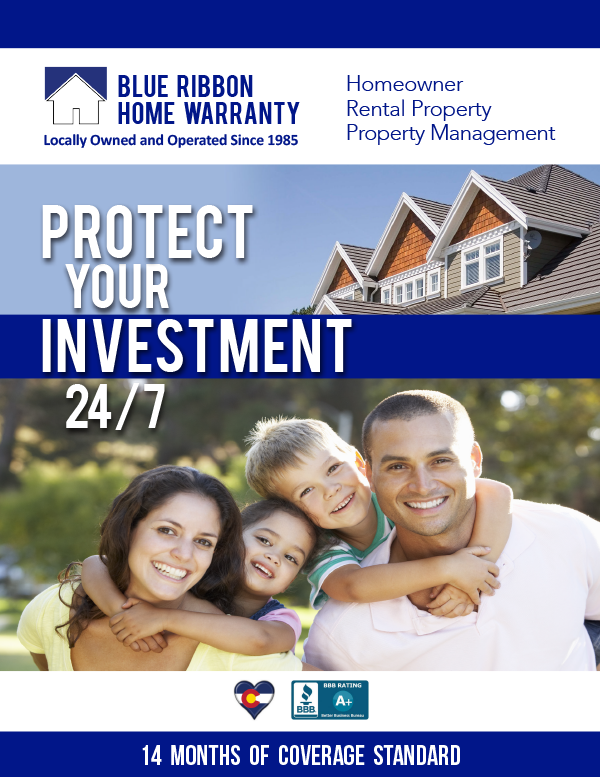 Blue Ribbon Home Warranty is here to save you time and money. Having one of our comprehensive coverage plans allows you to never worry about the high cost of repairing or replacing your homes’ appliances or mechanical systems. You also will have access to the highest qualified service contractors in the state of Colorado, without having to search directories or the phone book wondering if you can trust an unfamiliar vendor.When a covered item breaks down, simply dial our number 24 hours a day, 365 days per year and a highly qualified, licensed, and an insured service technician will be dispatched by our friendly, knowledgeable customer service representatives. Print and send application here. What is your home type? Are you a military or senior? We currently do not offer combined discount pricing. Please choose no on Military/Senior or Realtor options above. * Prices ranges indicate Silver - Platinum coverage options. * Price ranges reflect fully paid annual plans. * Prices are estimates only. * Contact us for additional pricing and payment options. Protecting All Types of Residential Properties in the State of Colorado Only! Single Family Homes, Condominiums, Townhouses, Manufactured Homes, Mobile Homes, Duplex, Triplex, Fourplex and Properties, and Multi-Family UnitsOur Application forms, Brochures & Sample contract are available in PDF Format. Please contact your local area sales representative to have brochures delivered.Below are links to our brochure for properties involved in a real estate transaction. Pertaining to Sellers, For Sale by Owners, Buyers, Investors, Realtors, Builders, and Real Estate Services Clients. Below are links to our brochure for properties that are not involved in a real estate transaction. Pertaining to Homeowners, Landlords, Property Managers. Note: Please call us for extra coverage options, such as doubling coverage on kitchen and laundry appliances or for pricing on duplex, triplex, fourplex properties and other multi-family units. Order TODAY and get the “Peace-of-Mind” that thousands of Colorado homeowners have, knowing that Blue Ribbon Home Warranty has you covered! Don’t worry. Blue Ribbon’s got you covered! If you are planning on selling or buying your home soon, contact your real estate professional and tell them you want a Blue Ribbon Home Warranty. Click here to find a Realtor in your area. Call us directly to find out about special programs available to you. 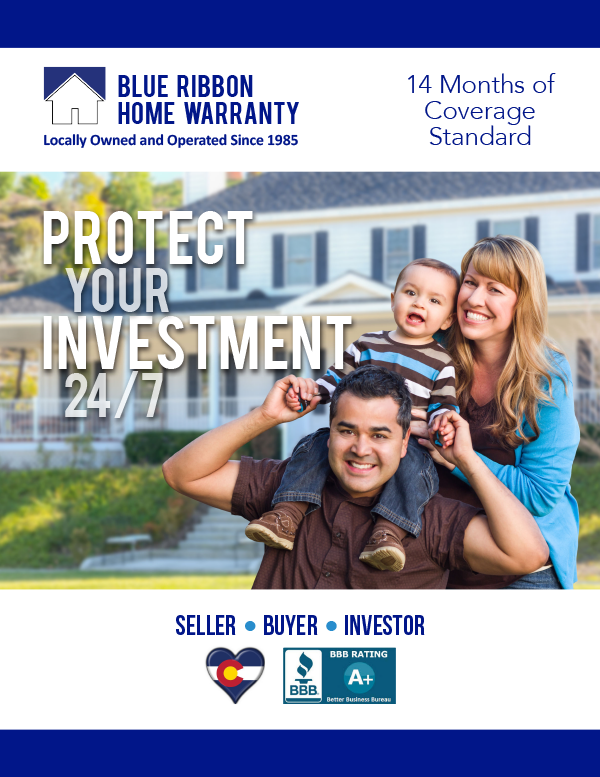 Insist on being protected by the best home warranty plan available in Colorado— a Blue Ribbon Home Warranty!